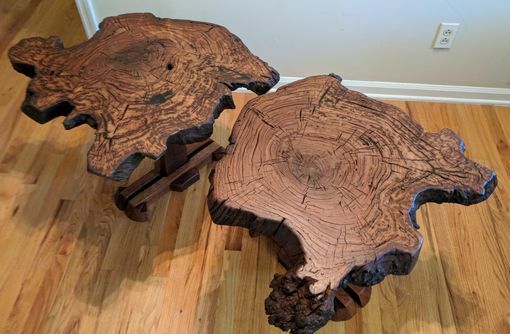 Here is a once in a lifetime opportunity to own a bookmatched pair of side tables comprised of rare woods, especially the tops. 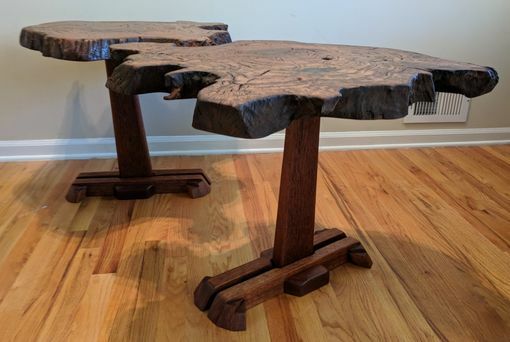 These pieces were custom made in Atlanta Ga. and each table is comprised of old-growth Sapele (bases) and tops of roughly 300 year old Wormy Chestnut root burl woods. As many of you know, old-growth American Chestnut was basically wiped out due to a blight which finally ceased sometime in the 1930s. The history of this root begins in 1973 where it was found on a large parcel of land near Asheville, NC. 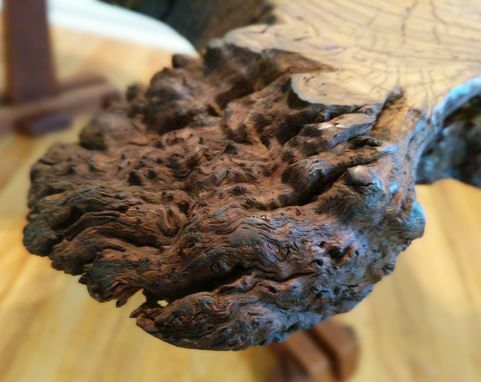 The root measured roughly 30" tall by 30" wide and has literally moved across the country several times until it ended up in Atlanta, purchased from the original harvester and cut into several 2" thick cookies for use as table tops. These tables are stunning in person with the design of the base acting as architectural, machine-made pillars which rise to support a stunningly organic design which only God and nature could produce. 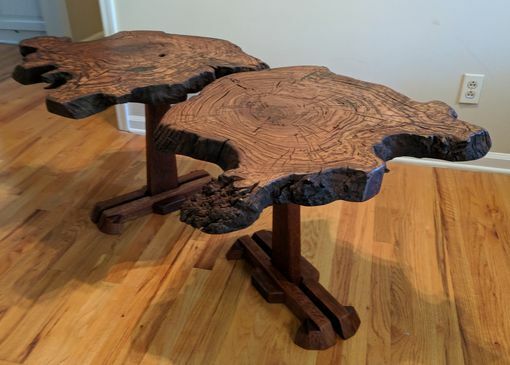 Each top carries a fine mix of spalting, burl marks, growth lines, worm holes and checks which are telling clues of long life; and short demise of the tree. The tops have been finished to 320 grit paper, have an oil finish and resin filled from the underside to fill checks and add stability. 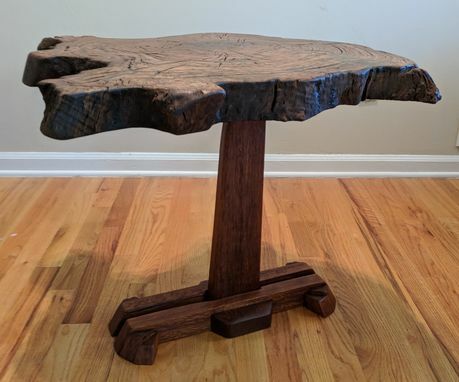 Each table measures roughly 30" in diameter, 21" tall. 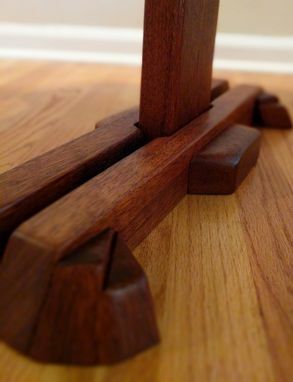 These tables are perfect for any style home from mid century modern to rustic chic. Local p/u in zip code 30290 or we can assist with locating a blanket-wrap shipper.